The Massachusetts School Counselors Association, Inc. was founded in 1961 to work for the promotion, improvement and expansion of guidance and counseling in the Commonwealth of Massachusetts. Membership in MASCA is open to counselors active in public and private elementary and secondary schools in the Commonwealth. In addition, graduate students enrolled in counselor education programs, post-secondary level counselors, counselor educators, and retired counselors are eligible for membership. Interested in becoming a MASCA leader? For more information on how you can join the MASCA Governing Board, CLICK HERE. SAVE THE DATE! 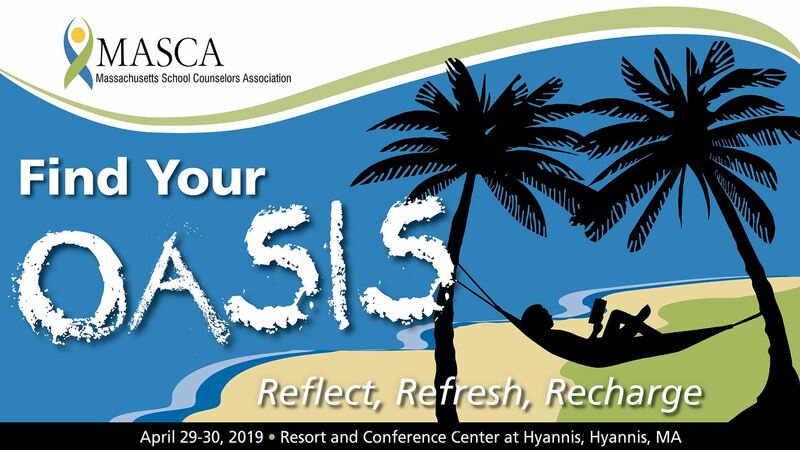 MASCA 2019 CONFERENCE! Click Here to view the SLIDE SHOW from the 2018 Conference! This three-day workshop series is being offered regionally during the 2018-2019 school year. Designed for small teams of high school staff led by counselors and including teachers and administrators. Teams will design and implement a scope and sequence of learning objectives focused on the personal social growth, academic planning, college planning and career development education needed for post-secondary success. My Career and Academic Plan (MyCAP) is the process and tool that personalizes the learning and supports the College and Career Advising Program. To register a team and learn more about dates and locations click here. Massachusetts School Counselors Association, Inc. All rights reserved.